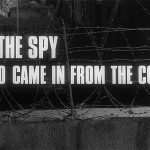 Now that we are just over a week into the wider release of the brilliant Tinker Tailor Soldier Spy, it’s probably ok to do a bit of comparison shopping (with spoilers) between the the new film and the equally as brilliant 1979 classic TV series starring Alec Guinness. As most you know, I’m not a big fan of remakes but, in this case, this definitely lives up to the challenge. Director Tomas Alfredson does a masterful job in condensing the 6-hour small screen version down to just over 2-hours for the big screen. 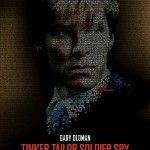 Gary Oldman, Tom Hardy and Benedict Cumberbatch command your attention when on the screen throughout. That said, the 1979 version more than holds up after some 33 years. In preparation for his role, Cumberbatch had taken himself off, alone, to the Moroccan seaside town of Essaouria. Le Carre had made mention in the book of Guilliam having been stationed in Morocco, and Essaouria, with it’s maze of narrow streets, its long shadows, and it’s window shutters banging in the wind blowing off the Atlantic, providing the perfect feeling for the cultivation of feelings of unease. 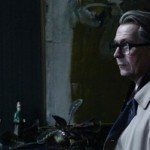 Just how real is Tinker Tailor? 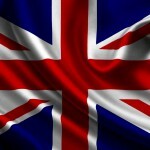 John Le Carre was part of MI5 & MI6 in the 1950’s & 60’s. His creation of George Smiley has a distinct air of authenticity as opposed to the Ian Fleming fantasy world of James Bond. Recently, the BBC provided this pretty cool comparison detailing the similarities between real life and ‘reel’ life showing that the world that we know nothing about might be just a bit closer to reality than most might think. Don’t take my word for it. Decide for yourself. Thanks to the great folks over at Acorn Media, I have ONE COPY of the 1979 six-part series with someone’s name on it. E-mail your name and address to t[email protected] by 12mid on Sunday, January 22 and I’ll draw one winner and you can decide for yourself which is better. Remember, you can’t win if you don’t enter. 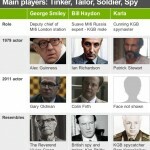 Just how real is Tinker Tailor Soldier Spy?